In Singapore, you can buy or rent wheelchairs at many retail and online stores. However, it is wise to do some research before you make that decision. 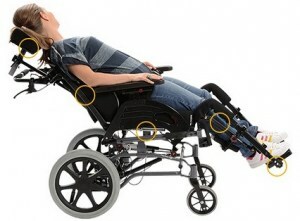 Making the right choice out of the hundreds of brands and models of wheelchairs will allow the user and the caregiver benefit and enjoy fully this important piece of mobility and rehabilitation aid. Wheelchair-commode allows dual use - user gets to propel the wheelchair, which comes with a commode cut-out, into the toilet; Elevating (Orthopaedic) wheelchair - its legrests can be raised to the horizontal level for use by wheelchair users on leg casts. A stair climber, platform lift, chairlift and stairlift, when attached to a wheelchair, allows users to get up and down stairways with ease. Stair climbers come in various designs to suit a wide variety of user conditions and preferences of caregivers. Compared to stair lifts, chair lifts and platform lift which have to be permanently installed, require a fair bit of engineering work and are much more costly, stair climbers present as reasonable alternatives. Wheelchair seat cushions are important not just for comfort, but also for relieving pressure on the bottom and preventing pressure sores, especially for long-term wheelchair users.